The key to fat loss is burning more calories than you consume. However, the longer you sustain a calorie deficit, the more likely you are to degrade your metabolism, which can slow your results to a halt. Thermo Heat will help keep your body’s fat burning fired up. THERMO HEAT HELPS YOUR BODY TURN FAT INTO THERMOGENIC TISSUE. Yes, you heard that right. The enemy becomes an ally in our fight for a lean, sculpted body. Our synergistic proprietary blend of ingredients ignites your body’s fat burning by switching on the metabolically inactive white adipose tissue (WAT) so that it acts more similar to the most proficient thermogenic tissue in the body--brown adipose tissue (BAT) or brown fat. 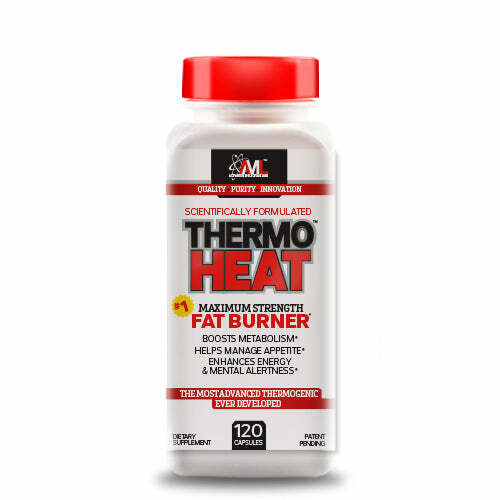 Thermo Heat also contains other thermogenic activators that further enhance fat burning and thermogenesis. 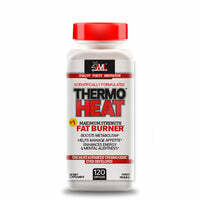 THERMO HEAT SAFELY STIMULATES THE BETA-3-ADRENERGIC SYSTEM, A KEY PATHWAY FOR FAT BURNING. Beta-agonist synephrine, which is found in bitter orange and other citrus fruits, binds mainly to the beta-3 receptors found in BAT stimulating lipolysis and thermogenesis by helping to raise one’s resting metabolic rate (RMR) without impacting heart rate or blood pressure. THERMO HEAT CONTAINS NORADRENALINE AND DOPAMINE ACTIVATORS. THERMO HEAT ENERGIZES WITHOUT OVER- STIMULATING. With safety and efficacy guiding formulation, Thermo Heat’s combination of ingredients is designed to enhance your body’s energy and focus without uncomfortable or unsafe levels of stimulation. Rather, you should experience a productive feeling of alertness to support your intense training and fit lifestyle. THERMO HEAT HELPS MANAGE YOUR APPETITE. 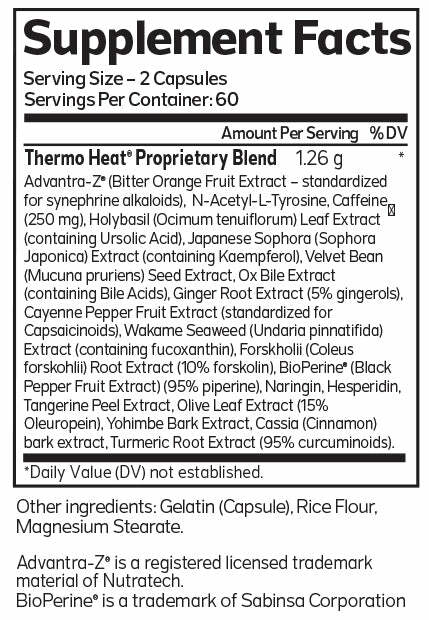 The unique blend of ingredients activates your body’s own appetite- suppressing hormones and certain neurochemicals responsible for bodyweight control. With hunger under control, you’ll maintain the diet precision needed to reach your maximum fat burning goals. Calorie-restricted diets can depress thyroid function, causing one’s metabolism to slow. Thermo Heat boosts your body’s metabolism and can maintain healthy thyroid function naturally. 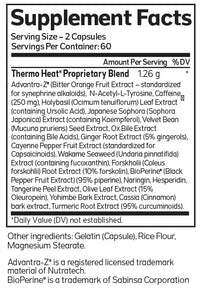 Plus, it encourages the conversion of T4 to active thyroid hormone T3 for enhanced BAT thermogenesis and fat burning.